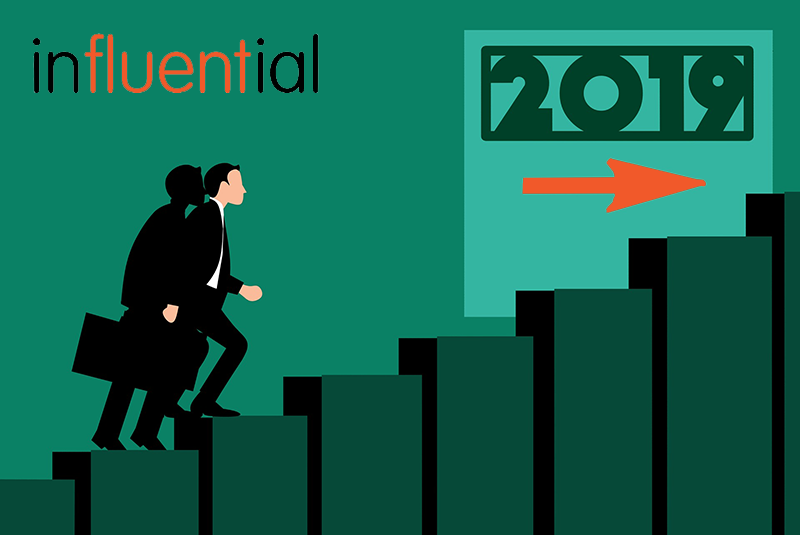 For the team at Influential Software, 2018 was a year of growth and change. Based on that positive record, what can we expect from the coming year? To get a better idea, let’s take a look back with our 2018 review of digital transformation success. Influential Software attracted some top-drawer names in 2018. From Arsenal Football Club to Pret a Manger, City of London Police to Gatwick Airport, and Jobsite.co.uk to Deloitte, our digital services were very much in demand. Having ridden the waves of IT for over 20 years, we know that agility is the key to success. That’s why we’re always aiming to diversify and consolidate our skills with new partnerships and services. In the integration realm, we partnered with Dell Boomi and HULFT last year. Our Adaptive Insights partnership enabled us to offer cutting-edge financial planning software. And by partnering with Metalogix we broadened our services for SharePoint and Office 365. Overall, we saw that UK organisations know the value of digital and are keen to reap the benefits. Under pressure to transform quickly, businesses have also realised the need for expert help. Our success this year depended on forward-thinking IT and business leaders who trusted us to solve their digital challenges. Given that tech expanded 2.6 times faster than the rest of the UK economy in 2018, we strongly expect this trend to continue. And technology doesn’t exist in isolation. Our clients approach us for real-world solutions that help them work faster and smarter than before. As long as businesses want to serve the digital generation – which is practically everyone these days – demand for digital transformation will increase. More specifically, there are a few areas we expect to grow rapidly in 2019. While the tech economy is booming, there are dark clouds on the horizon. These represent a digital skills gap in the UK. Studies last year showed that 43 percent of UK adults did not have the basic digital skills needed for 63 percent of jobs. What’s more, only 16 percent of executives say their teams have the skills necessary to deliver their digital strategies. All of this means that tech recruitment and training are becoming crucial for UK businesses to thrive. Thankfully, Influential Software is meeting this need with a range of technical recruitment and training services. Alongside recruitment for business intelligence, development, and support, we also specialise in MuleSoft recruitment, MuleSoft training, and BusinessObjects training. We love useful new applications. Over the years, businesses will continue to acquire more and more of them. The sticking point appears when that business wants to see the big picture, and it’s wrapped in layers of uncommunicative software. A good integration solution allows businesses to take on as many applications as they like, from any source, while keeping everything transparent and secure. As the digital economy continues to expand, so will the need for integration. Having partnered with MuleSoft in 2016, we followed up with Dell Boomi and HULFT partnerships in 2018. These three partners give us huge flexibility in solving integration challenges large and small. Websites are the new storefronts. With the right design, they can do everything that a physical shop does – and then some. It’s easy to see that website design and content management system (CMS) development will show strong growth in 2019. Based on our development background in Microsoft .NET, we launched our Umbraco services site in 2018. On top of our long-standing work with Java and PHP, the Umbraco site showcases our skills with the world’s most powerful web development tool. These 2019 predictions are only a snapshot of the likely trends. We could add that cloud computing, Internet of Things solutions, artificial intelligence, and machine learning are also set to grow in 2019. And with services for SAP Partner Managed Cloud, SAP Cloud Platform, and SAP Leonardo, our team is digitally ready for all outcomes. Is your business looking to transform in 2019? Ask one of our experts how. 2017 closed strongly, bringing a host of new clients and projects. It continued the trend we found earlier in the year of more and more businesses waking up to opportunities that the uncertain UK economic climate is presenting. Allowing smaller, more agile businesses to align themselves to disrupt the competition and seize the initiative. ‘Digital Transformation’ is the buzzword all too often banded about, but digitally integrating business strategy and data it is key for growing companies not only to survive, but to make the leap to the next stage. 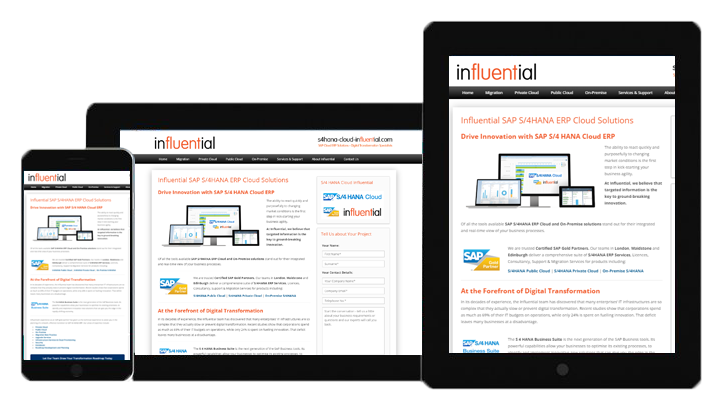 Digital integration and digital transformation are the core of Influential’s products and services. From Software Development and API management, through Business Intelligence and Analytics solutions, to our comprehensive (and award winning!) 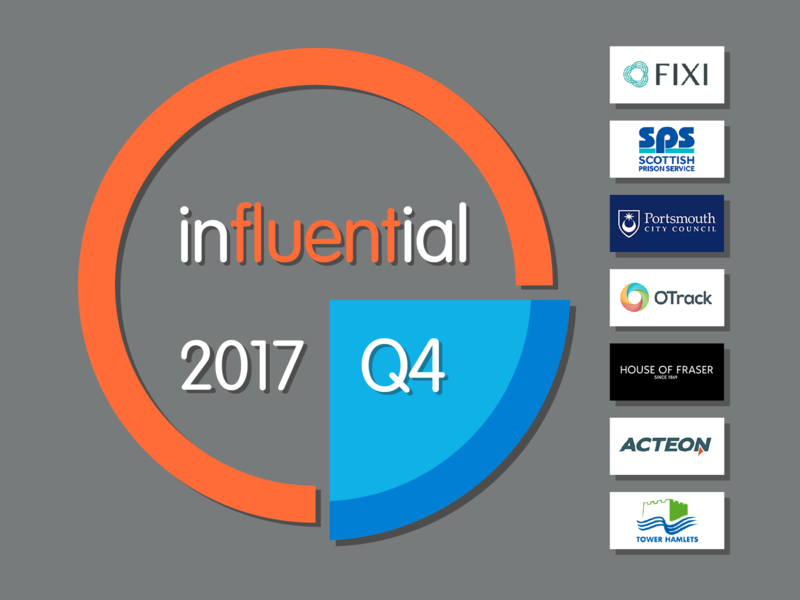 support and maintenance services, Influential are helping more and more businesses become agile, forward-looking businesses. Acteon is a world leader in subsea solutions and offshore engineering services. Their offerings are shaped around a deep understanding of their clients’ businesses and they are a global partner for operators, contractors and drillers in four key areas of expert capabilities: Survey Monitoring and Data; Risers and Moorings; Seabed Foundation Technologies; Project Support Services. Acteon’s ultimate aim is to define, shape and lead the subsea services market. The Acteon Group itself brings together services that are recognised as being leading services providers in their own right. All of these companies share knowledge and experience to the benefit Acteon clients – operators, contractors and drillers alike. FIXI PLC is a brokerage house that provides foreign exchange, bullion, and OTC solutions. Based in London and founded in 2005, Fixi PLC offers electronic platforms to trade online and asset management solutions for individuals. Their clients are both professional and institutional. House of Fraser (fondly known by those who love them as ‘HoF’) have been on a mission to provide their clients desires for more than 150 years. Starting out from a humble Drapery Shop in Victorian Glasgow they have grown to be an strive to continue making history every day. Their goal is to be much more than just a house, to be a ‘whole universe full of your favourite things’. Optimum Report work with businesses complex and daily reporting needs, working directly with business users to capture business exacting reporting requirements. Optimum Report also develop reporting solutions such as OTrack, a unique tool for educational institutions which makes pupil assessment tracking a perfect fit for schools. OTrack allows an institution to compare and track pupils attainment and progress at the touch of a button. Portsmouth City Council is the local authority of the city of Portsmouth, Hampshire. As a unitary authority, Portsmouth City Council has the combined powers and functions of both a non-metropolitan county and district council. In charge of billing, such as collecting and business rates and tax, it also processes local planning applications, municipal services and environmental health, as well as local education, libraries and social services. 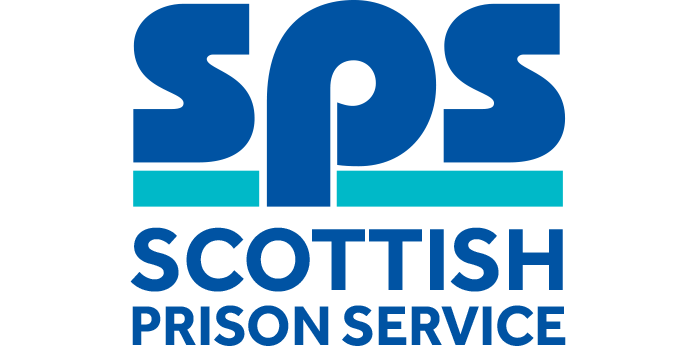 The Scottish Prison Service (SPS) was founded in 1993 and is an agency of, and funded by, the Scottish Government. It is a public service-led delivery agency whos core legal requirements are to deliver custodial and rehabilitation services for those sent to it by the courts. The SPS also delivers a range of operational services for the Scottish Government with the principal objective being to contribute to making Scotland Safer by Protecting the Public and Reducing Reoffending. To deliver upon these objectives, the SPS agrees a service framework with each public sector prison and manages private sector providers of prisons and custodial services under contract arrangements. This includes 13 publicly managed prisons and 2 privately managed prisons. What would happen if we woke up tomorrow and APIs simply didn’t exist? We know they’re a part of modern technological development and disruption, but do we really understand the importance of APIs? Imagine this: the clock strikes midnight and APIs no longer exist. Off goes your alarm and you reach for your smartphone: Facebook, Twitter, and every other social network isn’t working. Your weather app has no information to help you choose the appropriate outfit for the day and Google can’t find any traffic updates to help plan your travel. If you like to browse the morning headlines then you’re out of luck – the news app has gone silent. 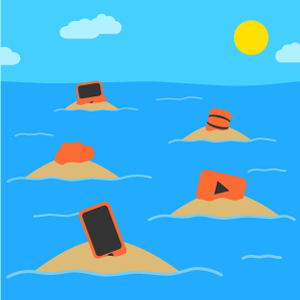 Without APIs, we’re left with “application islands” – a world of isolated data and applications that can’t communicate. Without the ‘digital glue’ of APIs to hold systems together, the technologies we have come to expect and rely on simply won’t work… and it doesn’t just stop at social media. Instant messaging applications give way to phone, email, or SMS – assuming that none of the back-end systems of your network provider use APIs to deliver their service. Global communication as we know it is gone. Without APIs, any and all services run from remote or cloud-based servers cease to function. Say goodbye to Youtube, Netflix, FreeSat, Sky+, or Tivo; you’ll have to rely on video entertainment services delivered by cable. Online bookings won’t work; everything from the cinema to flight and rail travel will only be bookable via interaction with a human being. You can’t check your banking information online anymore; you’ll have to visit a branch for details and an ATM to withdraw cash – again, assuming that ATM back-ends are API-free. Shopping online is a thing of the past – it’s back to physical catalogues and coupons sent via paper post. We’ll be amazed by how many seemingly safe, non-cloud services fall down because some parts of their systems rely on APIs. The standardisation, reuse, and global sharing of APIs mean that companies and individuals everywhere leverage them for their business. Processes, services, and activities around the world will grind to a halt. So, what next? Consumer expectations of seamless connectivity and services are a product of APIs. Without them, business strategies will resemble those of 20 to 30 years ago, when success was dictated by a company’s size and resources. Organisations worldwide utilise APIs for digital transformation and business growth, adapting to the disruption caused by the 4th Industrial Revolution – disruption that has suddenly stopped. Businesses no longer need to adapt for survival, and those that have failed to keep technologies and processes up-to-date may even be better off. APIs are a democratiser in business, levelling the playing field so that SMEs and startups can compete with FTSE-100 companies. In our new API-free world, the web-startup from home scenario is no longer possible, and global offerings have to be fundamentally reassessed. The exponential increase in technological development slows to a crawl and businesses’ growth requires a different kind of innovation – innovation that might be a struggle for many to achieve. An entire generation of people has grown up with API-powered technologies and services at their fingertips, absorbing information in a totally different way to generations past. 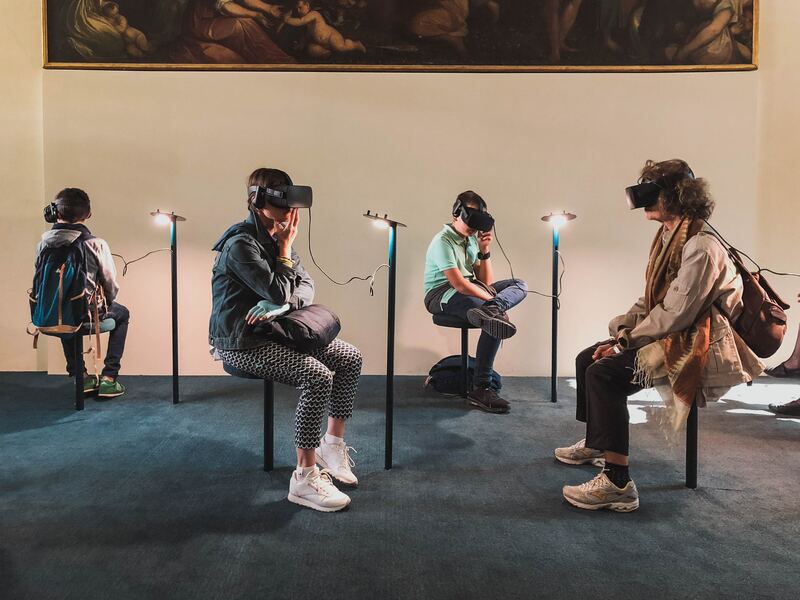 The human thought process has evolved; problem-solving now demands the approach of “ask Google” and instant access to information through the internet. This new generation, shouldering the burden of society’s future, will have to learn about technology all over again. It will be a long time before we regain the technological functionality we once had, if it ever happens at all. APIs, thankfully, aren’t going anywhere. They’re integral to the way our technologies, society, and culture have evolved – which is why businesses can’t afford to ignore them. APIs are a core part of the disruption in Industry 4.0 and many believe that API-led connectivity is the solution to meeting the increasing demands on IT. A 2016 report about connectivity showed that 91 percent of business IT decision makers globally have an API strategy in place, or plan to have one by the end of this year. For the remaining 9 percent, time is running out to maintain a competitive edge. There’s no time like now to start forming your API strategy. Need some help? You know who to ask. API 101: What Are Web APIs? The 4th Industrial Revolution is here and for business to survive it must adapt – quickly. To do so we must first understand the ‘Industry 4.0’ disruption; the impact and risk for business, and the necessary change for survival. ‘The 4th Industrial Revolution’ or ‘Industry 4.0’ is a topic that has been picking up momentum in discussion for the past few years – propelled to the forefront of conversation as the focal point of the World Economic Forum earlier in the year. The 1st Industrial Revolution brought the transformation of labour, from hand-production to water and steam powered machines. The 2nd Industrial Revolution: The Technological Revolution. The industrialisation of Society connected disparate existing networks, the movement of people and ideas, the electrification of processes and production lines. 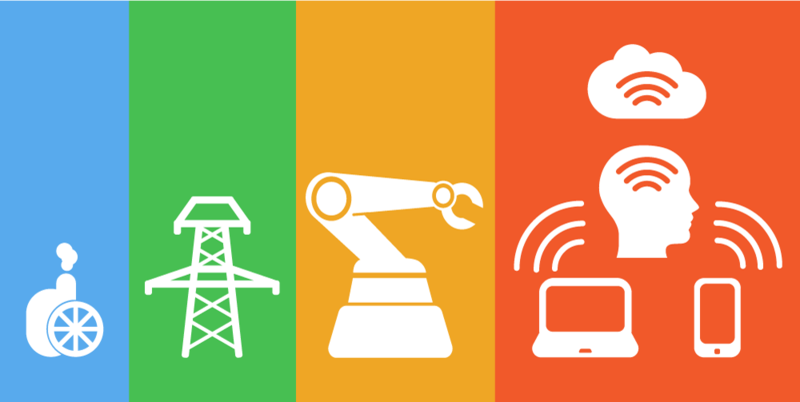 The 3rd Industrial Revolution: Manufacturing goes digital. Technologies converge, web-based processes and new robots allow for ultimate customisation and bespoke production. The 4th Industrial Revolution marks the blurring lines between the real world and the technological world. Advances in wearables, virtual reality, artificial intelligence, robotics, voice-controlled homes, Big Data Analytics and the Internet of Things – all are part of a new wave of ‘cyber-physical’ systems that are changing the playing field. Human beings are connected to technology, to systems and to each other. The overlap of technology into our personal and professional lines is growing and it’s getting harder to see where one ends and the other begins. Like any change, the 4th Industrial Revolution means disruption. New technologies are evolving exponentially, increasing the demand on IT to deliver more, faster. With the old business & operational model, the gap between demand and delivery is going to get wider and wider. The impact on business is already clear: only 12% of the Fortune 500 firms in 1955 were still in business in 2015. Companies that can’t meet demands will fail and there will be no shortage of competitors to take their place. Adaptation is critical, but it isn’t enough to simply react after demand has increased. The best defence is a good offence – businesses that survive will be the ones doing the disrupting. The key is to act now; to reexamine the way we do business and change the approach to meet demands. This means more than simply digitizing systems as we did during the 3rd industrial revolution. Industry 4.0 calls for digital transformation; innovation of products, services, the role of IT and the entire operational model. Connectivity is essential which will mean a shift to standardised, reusable assets such as APIs. Many leading technology companies are already embracing the disruption and we’re thrilled to be partnered with them. 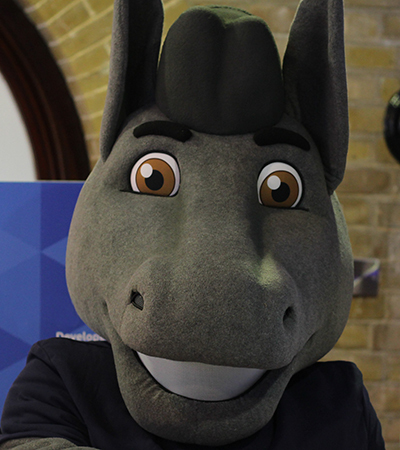 Solutions such as MuleSoft’s AnypointPlatform are designed to support frictionless connectivity between systems and applications with API-led connectivity. Business Intelligence tools such as IBM Cognos Analytics and SAP BusinessObjects offer powerful business insights. This business-critical data is vital for the process of reexamination and laying out the steps towards innovation. Are you ready to embrace the disruption? Talk to the Influential experts about getting started. Technology is changing and the space between demand and delivery – the IT Delivery Gap – is only going to get bigger. What impact will the gap have on businesses and what can be done to bridge it? What is the IT Delivery Gap? It’s no secret that the world is changing. New technologies are emerging rapidly, such as IoT, Mobile, Big Data Analytics, SaaS and Cloud adoption – all evolving at an exponential rate. New applications add to data production, and require more connections and integration. As Businesses attempt to leverage this new technology, to meet customer and partner expectations, the pressure falls on internal IT teams to deliver results, fast. The space between the demand and the delivery capacity is called the IT Delivery Gap. Unless IT budgets and resources grow at the same rate as the demand, IT simply cannot bridge the gap. The traditional operating model is a project-based approach where IT projects are standalone and each new application is built from scratch. This operational model offers limited room for growth, with IT delivery capacity remaining unchanged. Meanwhile technologies continue to evolve and expand and the demands on IT increase. We’re in a new age of industrial revolution and the future of the traditional model is inevitable: the IT Delivery Gap will grow and businesses will be unable to meet demands. A knee-jerk reaction to is to try increasing output to meet demand without any change to IT resources; the old, budget-driven ‘do more with less’ approach that can do more harm than good. Higher pressure on IT delivery may have the opposite effect than desired, compromising quality of work and reducing morale, which may negatively impact productivity. Some companies can afford to increase the IT budget, adding staff and enhancing tools, a stop-gap solution that can be costly if not applied carefully. It can increase output in the short term, but IT budgets aren’t limitless. Expansion of resources will reach maximum capacity and the IT Delivery Gap will just keep growing. It also doesn’t fix the problem of the connectivity mess as new standalone applications are built and point-to-point connected to everything else. The typical reaction to prevent breaking to this fragile system is to freeze development and innovation – a one-way ticket to ultimate business failure. Digital Transformation is essential and involves more than just ‘going paperless’. It calls for a change of the operational model, the role of IT and the culture of digital system development. The key is to create systems built for change; to innovate rather than reinvent. Experts such as MuleSoft believe that API-Led Connectivity is the answer. 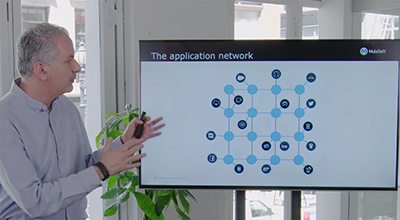 APIs are reusable, sharable assets that speed up development and allow frictionless connectivity to other systems – the basis of an ‘Application Network’. 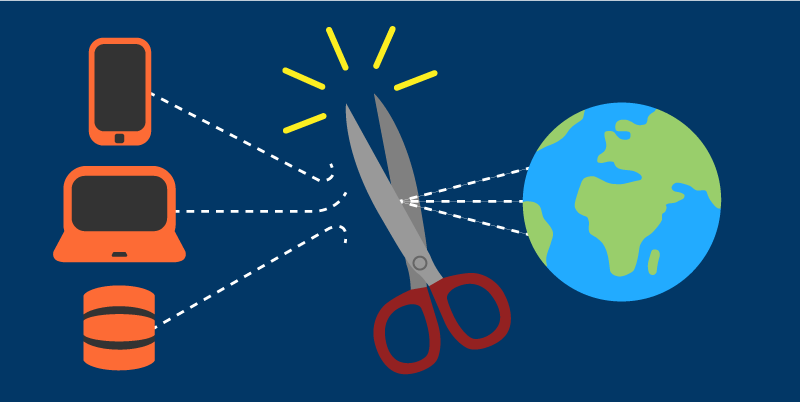 Reusing assets transforms the time and resources required to deliver IT projects and creates plug-and-play ability for fast, easy connectivity to anything, anywhere. User-friendly interfaces like the Anypoint Platform allow anyone to build and manage these APIs and connections, relieving pressure from IT teams and enabling self-service. Are you ready to transform your enterprise?It’s clear that the IT Delivery Gap is a growing concern for businesses and that change needs to happen fast. What’s unclear is who will adapt to meet the demands and who won’t. At Influential we’re already helping businesses to forge their plans for digital transformation and close the IT Delivery Gap for good. The Influential Java Team is gearing up to attend the inaugural Big Data LDN (London) event this week; a brand new 2-day conference and exhibition for the discussion and showcase of the tools and processes for building dynamic, data-driven enterprises. This week marks an important event on the Influential calendar: It’s the inaugural Big Data LDN event. Members of the Influential Java Development team are registered to attend, excited by the enticing range of speakers and topics scheduled for the two-day event. 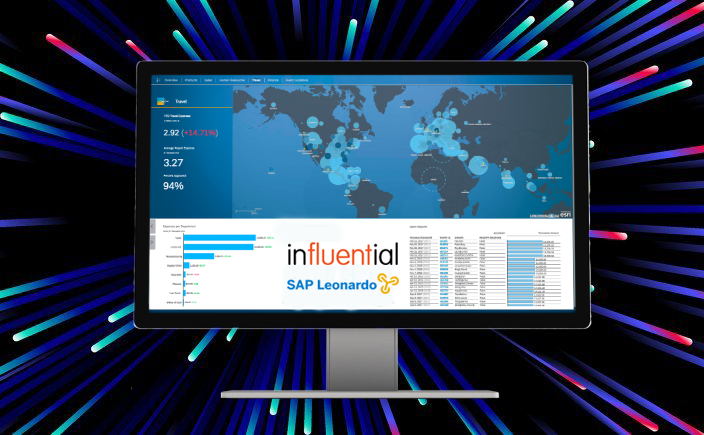 At Influential, Big Data is a key component in countless development and Business Intelligence projects, and our teams are keen to hear the latest from the suppliers of leading Big Data tools and services. Big Data LDN (London) is a new two-day conference and exhibition focused on Big Data and Analytics, and how to build dynamic data-driven enterprises. The aim of the event is to provide practical, actionable insights on delivering business value in an increasingly data-driven world – a mission Influential understands very well. A “stellar” line-up of speakers has been promised including 80+ engineering gurus, open-source visionaries and real-world pioneers – all of whom are ready to deliver their “cutting-edge” practical advice to the eager delegates. The conference and seminar programme will offer strategic guidance and actionable technical insights. The goal? To enable confidence and deliver expertise for delegates when tackling Big Data projects. The perfect complement to the seminar programme, the Big Data LDN exhibition will bring over 70 leading Big Data and Analytics vendors and service providers together under one roof. Such a range of experts and service from around the world promises to be a fantastic showcase of the tools and solutions available to those looking to become a Data-Driven Enterprise. Our developers can’t wait to engage with the hands-on product demos and technology test-drives; top-grade technology from blue-chip companies and “hot” new start-ups. Part of our continued drive to innovate and provide enterprise-enhancing data solutions, Big Data LDN is a vital event to attend – and a shoo-in addition to next year’s calendar as well. Need Help With Your Data-Driven Enterprise?